Green Building Report Shows Industrial Sector Prioritizes Sustainability in Design and Operations - Lee Soap is a industry leader providing turn-key products and solutions for the Automotive Care, Warewash, Laundry, industrial and janitorial industry. 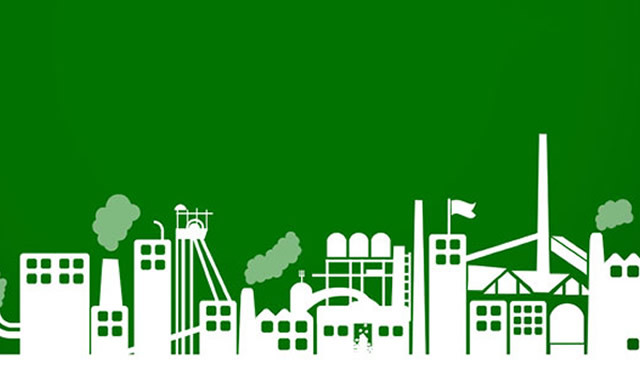 The U.S. Green Building Council (USGBC) released its LEED in Motion: Industrial Facilities, which highlights the collaborative efforts across the manufacturing sector to design and implement LEED (Leadership in Energy and Environmental Design) and prioritize environmental stewardship for industrial facilities. Currently, there are more than 1,755 LEED-certified industrial facilities worldwide totaling more than 496 million square feet and an additional 2,710 projects registered totaling nearly 737 million square feet. The report also showcases the most impressive LEED-certified industrial facilities in the world. Industrial facilities, which include manufacturing buildings, warehouses, distribution centers and industrial campuses, operate on a vastly larger scale than homes, office buildings or even a university campus. The manufacturing sector alone is responsible for 30 percent of the nation’s total energy consumption and uses an estimated 15,900 million gallons of water per day, which is roughly 4 percent of total daily water use. Through LEED certification, the world’s most widely used green building rating program, industrial facilities are more resource efficient and high-performing, which translates to increased asset value and millions of dollars in savings for owners and operators. The manufacturing sector, which impacts every aspect of daily life, is essential to the global marketplace and a significant economic driver worldwide. In the U.S. alone, the manufacturing industry contributed $2.1 trillion in gross domestic product (GDP) in 2014 and, according to the National Association of Manufacturers, for every $1 spent in manufacturing, an additional $1.40 is added to the economy. The sector also provides 12.33 million jobs and indirectly supports an additional 18.5 million jobs. USGBC’s recent Green Building Economic Impact Study found that across industries, green construction jobs are poised to create more than 3.3 million U.S. jobs and $190.3 billion in labor earnings by 2018. The LEED in Motion: Industrial Facilities report underscores how LEED is a transformative tool that positively impacts the quality of built space and can be applied to all building types. Because environmental, climate conditions, worker health and safety codes, standards, and laws vary, LEED provides a mechanism for recognizing those differences while still achieving the same credit intent and requirements. 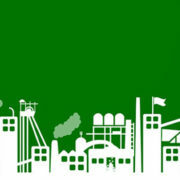 In developing the newest version of the rating system, LEED v4, the LEED Warehouse and Distribution Center adaption was designed to meet the specific needs of the global manufacturing sector and to ensure high-performance in human and environmental health, sustainable site development, water savings, energy efficiency, materials selection, supply chain and indoor environmental quality. Every day, more than 1.85 million square feet of space is LEED certified in more than 160 countries and territories. More than 78,600 commercial projects are currently participating in LEED, comprising more than 15 billion square feet of construction space. With specific achievement paths built in, LEED is designed for use in various building types in a variety of climates and localities, often synching with local laws and requirements. LEED in Motion: Industrial Facilities is the latest in a series of reports from USGBC designed to provide a holistic snapshot of the green building movement in international markets. The report equips green building advocates with the insight and perspective to understand the use of the globally recognized LEED rating system and to make a strong case for sustainable building activity. © Copyright - Lee Soap Inc.